School Gardens are important as “Every child deserves to grow up knowing where food comes from, how to grow it, cook it and share it, and how to be healthy”- Slow Food USA. High school gardens are a new wave in Sonoma County. This year alone, gardens were started by Marilee Mazur at El Molino High School (1/2 acre), Riggs Lokka at Santa Rosa High School (1 acre near Hwy 101), and Simon Farmer at Laguna High School (1/2 acre). The new and existing gardens, including Piner High School and Healdsburg High School all focused on growing 3 Sisters gardens. The 3 Sisters tradition of interplanting corn, beans and squash together, widespread among Native American farming societies, is a sophisticated, sustainable system that provided long-term soil fertility and a healthy diet to generations. According to legend, corn, beans, and squash are three inseparable sisters who only grow and thrive together. The plants exhibit a high degree of cooperation, or communality, so these qualities are also important in our project. This resilience and the economics of scale of these plants could can be duplicated by anyone a student, parent, chef or person who wants to grow good, clean, nutritious food. The Slow Food mission includes promoting food biodiversity. Many of the seeds that were provided to the schools for planting are listed on the Slow Food “Ark of Taste”, a living catalog of delicious and distinctive foods facing extinction. This program helps keep these foods alive for future generations. Steele Lane Elementary School at 301 Steele Lane, Santa Rosa, CA 95403 is dedicated to the total child through Nurturing, Education and Building Self Responsibility. For the past 10 years, Slow Food Russian River has been supporting this mission through our investment in Vicky’s Garden. Offering elementary school children the opportunity to spend time with the earth, plants, sunshine is one of the strongest, most effective ways to endow kids with that essential life skill – being able to grow your own food. 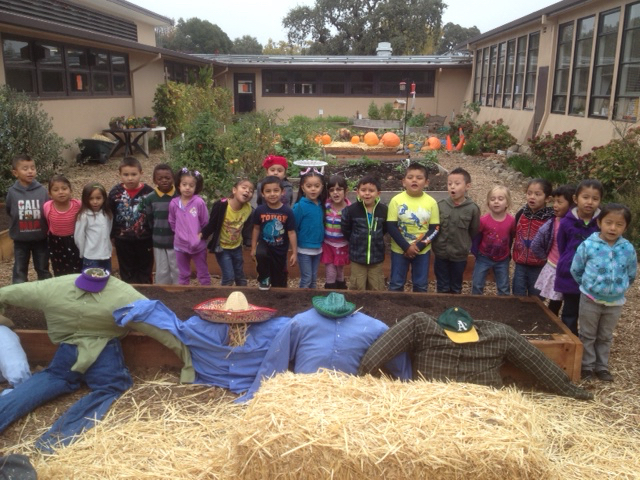 Vicki’s Garden is now certified as an Approved Producer through the Sonoma County Agricultural Commissioner, allowing the school to use produce for tastings in the garden program and in the school’s salad bar and classrooms. The teachers are also working to incorporate the lessons from the garden into the school’s larger Common Core Curriculum. What better way to help make the crucial changes that we all know must happen than through teaching our children?